This week I got caught up on my Toes in the Sand BOM and decided to use Block 10 as an opportunity to test a new product. I'm a bit of a Best Press pusher around the BostonMQG but when the awesome folks at Soak gave us some Flatter to giveaway I knew I had to try it (though I wasn't lucky enough to win some in the giveaway, I had to buy my own). When you press the fabrics for your strips if you press them right sides together you can just cut and sew. 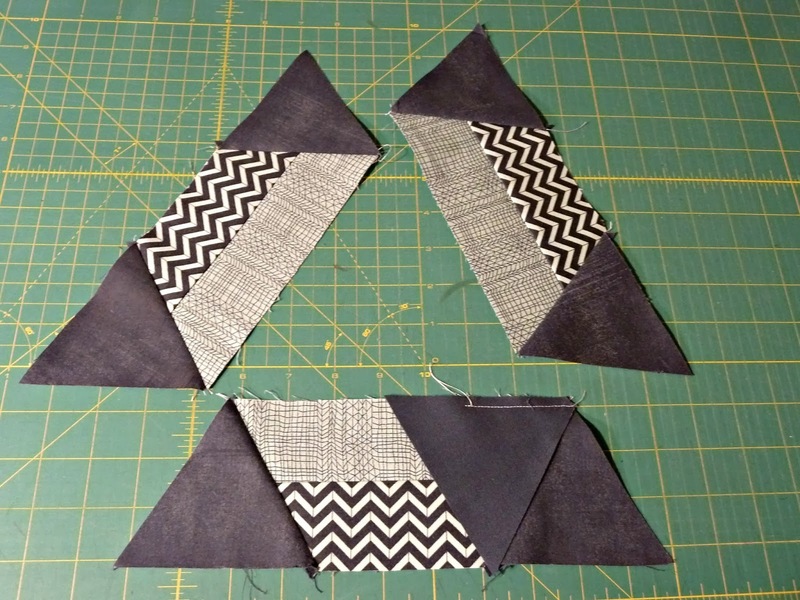 If you pay attention to the direction of your first cut you will only need two 2" strip sets to make the 6 half hexes. 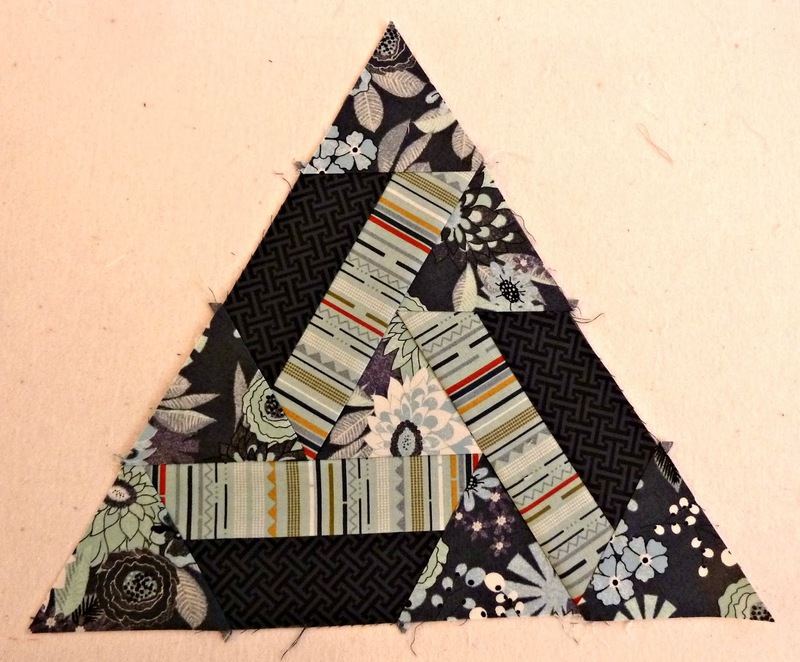 Once you've made the half-hexes the construction, including the partial seam, is identical to Block 4. 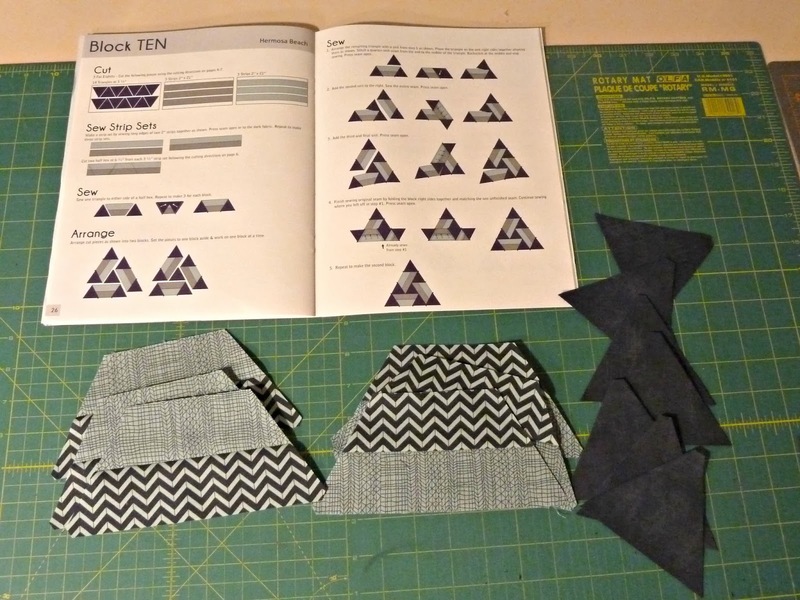 To keep it totally fair I made an extra set of blocks. For the first blocks I pressed with Best Press. I'm addicted to Best Press for the amazing crisp finish it gives my fabric. Blocks pressed with Best Press almost have the heft of a sheet of paper. At $.47 cents/oz ($7.95 for a 16.9oz. bottle) it's an expensive habit but you can get it down to .33 cents/oz if you buy it by the gallon. The fabulous Jane at Quilter's Way also shared this tip with me, "Once you've sprayed your blocks with Best Press you never need to add more. Just pressing with water will reactivate it's power." For the second I used Celebration scented Flatter. It smells lovely and is made with plant-derived ingredients so no sulfates or silicones. It does a lovely job getting out the wrinkles but it doesn't quite produce the same crispness as the Best Press. Also, at a whopping $1.43/oz ($12 for a 8.4oz bottle) it makes my Best Press habit seem downright thrifty. Given the price tag and my results I'm still hooked on Best Press but I will keep some Flatter around for ironing clothes. *Full disclosure* I did not receive compensation nor am I in any way affiliated with Mary Ellen Products or Soak. All opinions expressed are entirely my own. As a Best Press convert (thanks to you ;)) I really appreciate the review - Flatter is one that I've been meaning to try but just haven't gotten around to! phew - good to know! I still have half a gallon of BP! Interesting feedback on the Flatter and Best Press. I am really cheap and use Niagra Starch. I may get some Best Press in the future since you can use water to refresh the BP! 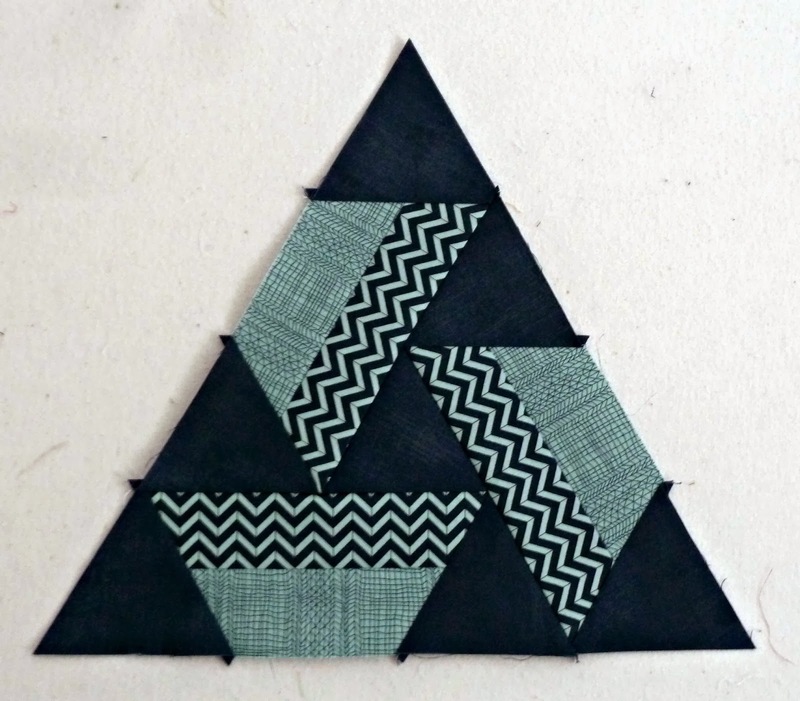 Love your triangle blocks too! Thanks for the review! I am hooked on Best Press! In those rare occasions when I actually iron clothes I even use it! Thanks for the review! Where is the best place to buy Best Press in the larger quantity? Thanks! 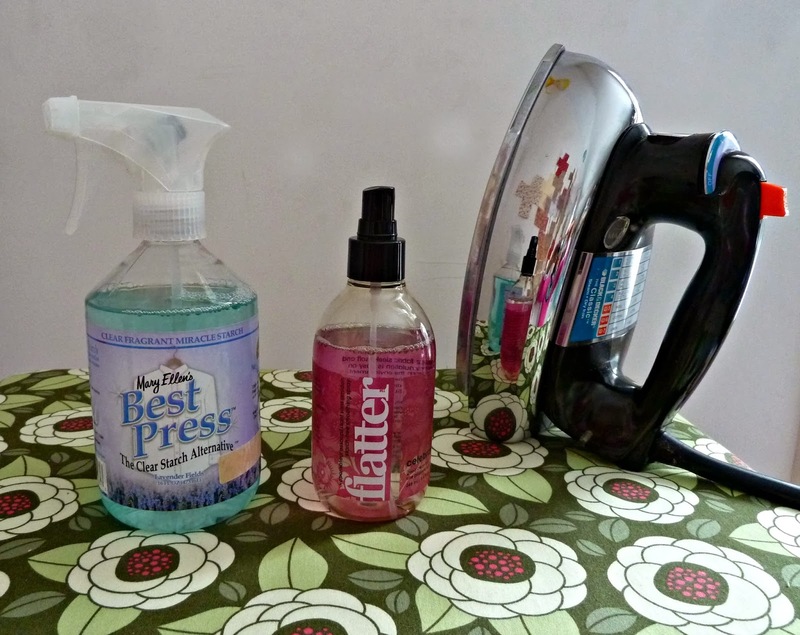 My LQS, Quilter's Way is my supplier but you can also get it online directly from Best Press http://maryellenproducts.com/Best-Press-Gallon/ or Joann's. Nice and helpful thanks for share.